On Tuesday (03/19/19), the Center for Southeast Asian Social Studies (CESASS) Universitas Gajah Mada held a Writing for the International Social Science Journal with Prof. Dr. Judith Schlehe, an SES academic from Albert-Ludwig University of Freiburg and moderator Dr.phil. Vissia Ita Yulianto, one of the PSSAT UGM researchers. 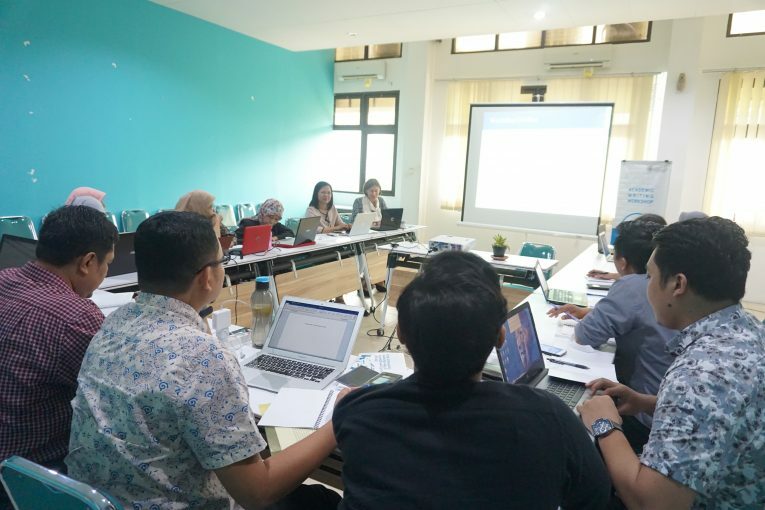 The workshop which was held at the UGM PSSAT Library was attended by 11 participants from various institutions, including the Faculty of Social and Political Sciences of Universitas Gajah Mada, Religious and Cultural Sciences of Universitas Sanata Dharma, and Universitas Merdeka Madiun. At the workshop, Prof. Schlehe explained about important things that must be prepared in academic writing. Prof. Schlehe also discussed in detail the things that need to be underlined in good journal writing. During the discussion session, Prof. Schlehe invited all participants to reflect on the language style of academic writing in Indonesia. After that was the Q & A session on the important stages in correct journal writing starting from the introduction to the bibliography.